If you caught my previous post where I visited the excellent Talisker on Main restaurant in Park City, Utah, you’ll know that I brought the Straight Line Tempranillo to the restaurant. Since this wine is one of my favorites that winemaker Jon Grant produces, I felt it was worth a little more insight! All fruit for the Straight Line Tempranillo is hand harvested and sorted. All grapes are then transported to Turley Wine Cellars where the wine is made, (Jon Grant is still the assistant winemaker at Turley). 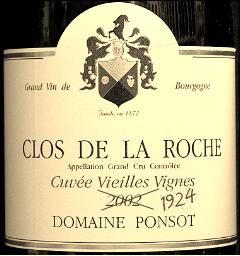 The finished wine is then aged in a combination of new and used French oak barrels for one year. Winemaker Jon Grant is an avid skier, and named the Straight Line after the quickest route down a mountain on a pair of ski’s (if you’re insane)! His love of wine all came from managing a wine store in Snowbird, Utah. He then went on to run the wine program for the six dining rooms at the resort. Jon has also worked at such wineries as Robert Mondavi, Plumpjack and Corison. The Straight Line Tempranillo (2009) has a 550 case production. 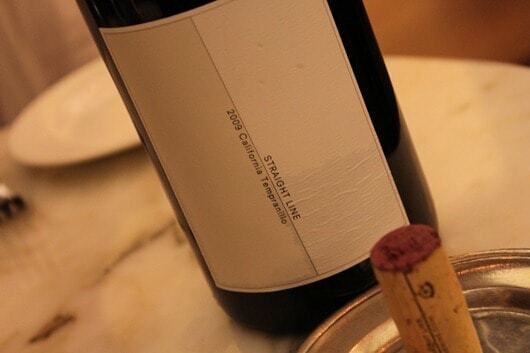 The wine therefore bears a simple California appellation. The Madder Lake Vineyard is located directly north of Mount St. Helena in the Mayacamas Range in Lake County. The site was planted in 1998 with Tempranillo taken directly from the Ribera del Duero wine region of Spain. The soil is extremely rocky, making the vines fight for survival, therefore yielding intense grapes that are full of flavor. Copain, Orin Swift and Turley wineries also purchase fruit from the Madder Lake Vineyard. Grapes from the Madder Lake Vineyard make up around one third of the Straight Line Tempranillo. The Liberty Oaks Vineyard is located in the Lodi appellation. The vineyard was planted in 1999 to Tempranillo. 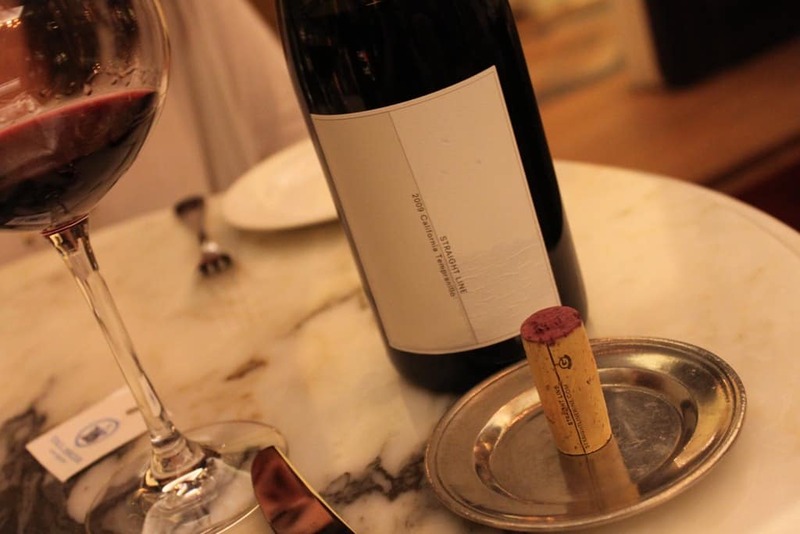 Because the soils are composed solely of volcanic clay, the vines are forced deep underground for nutrients. On a side-note, you would think that giving a vine every nutrient it requires would in fact yield a better quality grape, but in fact the reverse is true! It’s kind of like people, if you give someone everything they need, every comfort, every luxury, they will never produce anything of substance. Kind of like Paris Hilton. But if you make them struggle a little, the end result will always be greater! The Tempranillo sourced from the Liberty Oaks Vineyard makes up 55% of this wine. The Sueño Vineyard, is located in the eastern side of Lodi and gives the 10% Graciano grapes for this wine. The vineyard was planted in 1999 with several grape varieties. The word Sueño means ‘dream’ in Spanish. The vineyard is certified organic. I find that Spanish Temp’s can sometimes overuse American Oak, which is fine if that’s what you are looking for, but it’s often difficult when pairing with food. The oak was very well integrated and not obnoxious on the Straight Line! Renowned Wine Dealer Could Do Hard Time for Alleged Wine Counterfeits.